Retractable, or recessed bleachers, are one of the most traditional systems of seating for basketball arenas and school gymnasiums. 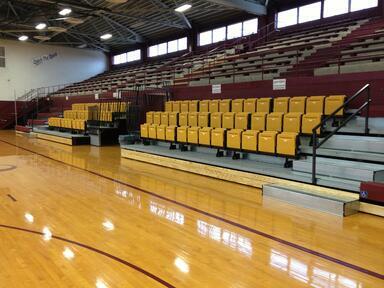 This system utilizes a tiered seating structure and a pocket in the wall that houses the bleacher when closed. 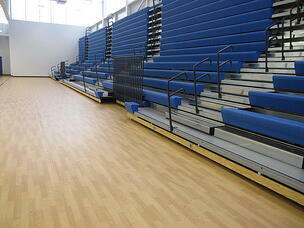 The bleacher is hidden away from sight, generally under a balcony or mezzanine when the seating area is needed for other purposes. Each platform conveniently stores under the one above it to create minimal storage area. 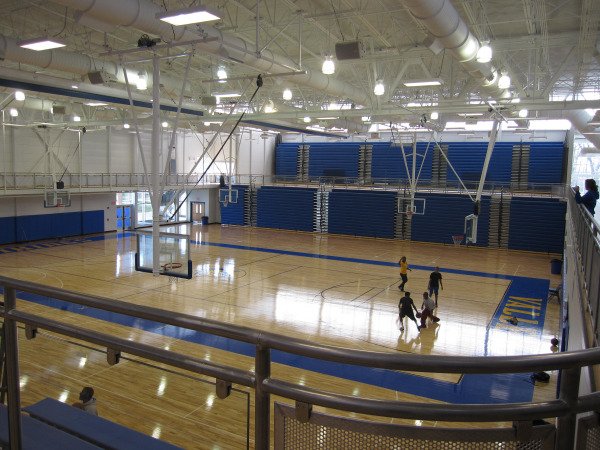 Recessed platforms are outfitted with upper and lower tracking guides, removable end rails, and can accommodate custom transition steps to the balcony when required.These systems can be customized to meet the ongoing and changing needs of your basketball facility while maximizing capacity. Automatic power options can also be added for easy operation. 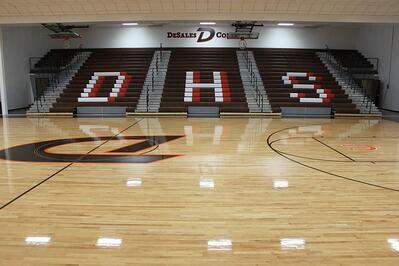 To get a quote on installing recessed bleachers for your basketball facility, click here.